During 2015 we, at Hydro Tec, had many reasons to be happy and grateful on how things are going in our business. We turned 20 years old, we saw six new Projects successfully delivered, five of them completely built according to our design, all of the six new Yachts were successfully displayed at the most important Yacht Shows. 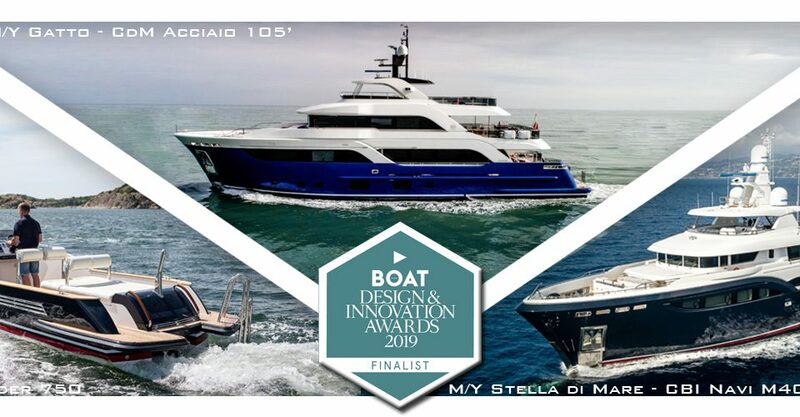 The Darwin 107’ “Storm” won the title of “Barca dell’anno” (Boat of the Year) presented by the Italian magazine “Vela & Motore”, Storm and the Darwin 102’ “Acala” were among the five finalists in their category at the ISS prize. Last week Showboats Magazine have revealed the finalist of the Showboats Awards 2016 and we had the surprise to see three of our projects in the group, all for the Naval Architecture. King Baby, built by IAG in China to a design of Evan Marshall, Divine, built to our design by Columbus and Taiba, also built by Columbus to our design. The first two are in the same category and represent almost half of the selected competitors. King Baby as built by IAG in China to a design of Evan K Marshall who also designed the interior. Hydro Tec’s contribution to this Yacht was the Naval Architecture and Engineering. The semidisplacement hull has been optimized by adding a bulbous bow and designing deep tunnels for optimal propeller working conditions and in order to limit draught. The yacht was displayed at FLIBS with great success. Taiba was built by Palumbo and has a full displacement steel hull, with bulbous bow. Hydro Tec contribution to this project has been in the Naval Architecture, Engineering and Exterior Design. Taiba is a high volume (1030 GT) 56 meter long yacht, with a highly efficient hull design that proved to be extremely seaworthy.